Win our latest competition and you could become the undisputed King or Queen of your next office or home war. 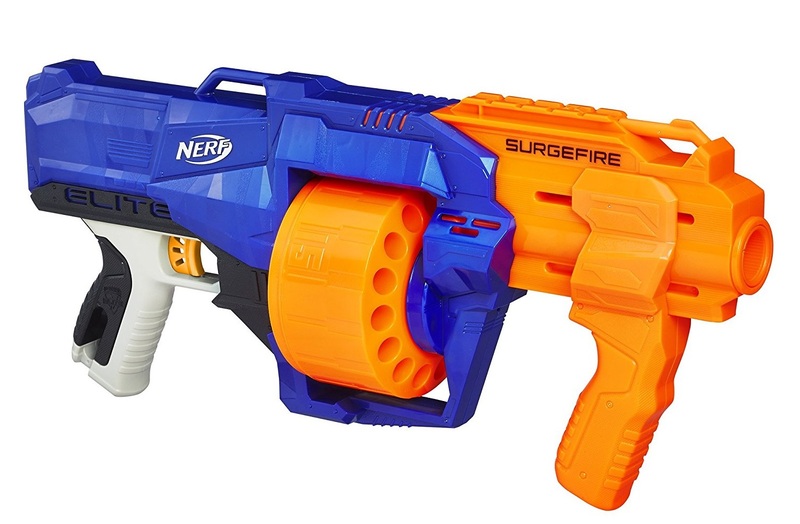 As we found out recently when reviewing it, the Nerf Surgefire Blaster is a pump-action master of quick firing, boasting a rotating drum of 15 foam darts, and a comfortable double-handed grip. Here's how you could win a Nerf Surgefire. 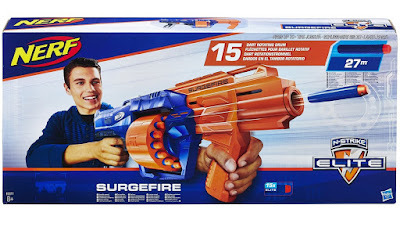 As you can see in our review of the Nerf Surgefire, this is a springer blaster, meaning there is no need for batteries, that can quickly fire off those 15 darts in just a few seconds. 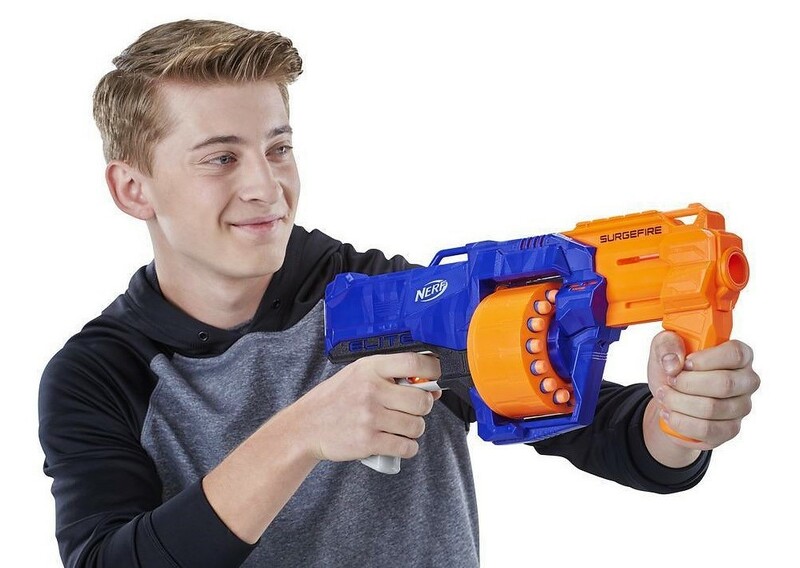 You can pump to load and shoot a single round, or hold down the trigger and 'slam fire' the whole drum. The range of the Surgefire is also hugely impressive, putting it up there with Nerf's best performing range blasters - but in a smaller and more compact package. To enter simply follow us (@thetestpit) on Twitter and then retweet any tweet we've posted about the competition. You can also Like us (/thetestpit) on Facebook and then share any competition post. Do either of these things before 6pm on 26th February 2018. The competition will close at 6pm on 26th February 2018 and the winners will be notified soon after. UK entrants only please. To win the entrants must be either following The Test Pit on Twitter, or have previously 'Liked' The Test Pit's Facebook pages. The judges' decision is final. For T&Cs please send us an email.